George Berzsenyi mentored thousands of high school students in mathematics. George Berzsenyi is a retired math professor living in Milwaukee County. Most people have never heard of him. But Berzsenyi has had a remarkable impact on American science and mathematics. He has mentored thousands of high school students, including some who became among the best mathematicians and scientists in the country. I learned about Berzsenyi from a chance conversation with a scientist named Vamsi Mootha. In the late 1980s, when Mootha was in high school in Beaumont, Texas, he won a science fair. A few days later, a letter arrived in the mail. "It said, 'Dear Vamsi, Congratulations on winning the Houston Science Fair, this is quite the accomplishment,' " Mootha recalls. "But then when I started reading the next paragraph, I felt a sinking feeling in my stomach," Mootha says. The letter went on to say that the math problem young Vamsi solved to win the fair had been solved hundreds of years earlier. "Of course, the letter went on, 'You can't be expected to know this because you're only a sophomore in high school, and perhaps you haven't had the appropriate mentorship ... If you're interested in solving original problems, why don't you write back to me.' "
The letter was signed "George Berzsenyi." At the time, Berzsenyi was a math professor at Lamar University in Beaumont. Mootha says the letter upset him because he thought he had discovered something new. But then he became intrigued. "I said, 'You know what, I'm going to take him up on his offer and write back to him.' "
They got together and the older mathematician and the young prodigy hit it off. Berzsenyi would give Mootha those original problems to solve ... and an appreciation for mathematics. Eventually Mootha headed off to Stanford University, then Harvard medical school where he works today. A half-dozen or so years ago, Mootha found out he had a lot of company in being mentored by George Berzsenyi. "I share an office with somebody named Joel Hirschhorn," Mootha tells me. Hirschhorn is a geneticist at Harvard and the Broad Institute. Mootha and Hirschhorn were trying to solve a math problem related to their work. "Joel is up at the board, he's drawing out some equations," Mootha recalls. "After we worked on the problem, we're just reminiscing about our high school days in mathematics. "So I start to tell Joel about how I got this letter after winning a science fair," Mootha says, "and before I could actually finish that sentence, he actually asked me, 'Wait. Did that letter come from somebody named George Berzsenyi?' And I said, 'Yes, how do you know?' And he said, 'I used to communicate with George Berzsenyi also.' "
Hirschhorn would send in solutions to problems in a math newsletter Berzsenyi edited. The coincidence was astonishing, and then it happened again. Two weeks later, Mootha is telling Sebastian Seung this story. Seung is a neuroscientist who at the time was at the Massachusetts Institute of Technology. Before he can finish the story, Mootha says, "Sebastian interrupts me and says, 'Wait, was that George Berzsenyi?' and I said, 'Yes, how do you know?' "
Mootha soon found that Berzsenyi has affected the lives of many top scientists and mathematicians. At this point, I knew I had to meet Berzsenyi. So I went to meet him at his house in Milwaukee County where he lives with his wife, Kay. Berzsenyi is 80 now. He was born in Hungary. In high school, he fell in love with mathematics. Hungary punches above its weight in the subject. The country has produced many famous mathematicians. Berzsenyi came to America and got a doctorate in mathematics. He joined the math faculty at Lamar in Beaumont, where he started mentoring talented high school math students. He created a math magazine patterned on KöMaL, which he had read in Hungary while in high school. The magazine only existed for a few years. He's hoping someday someone will revive it. There were tricky math problems in the magazine. When students sent in solutions, he would send back comments. He was surprised how willing the students were to work with him. He realized he was filling an unmet need. Berzsenyi said most high schools don't have the expertise to help these bright math students, and professional mathematicians by and large can't be bothered. Berzsenyi loved watching young people's math talents grow. 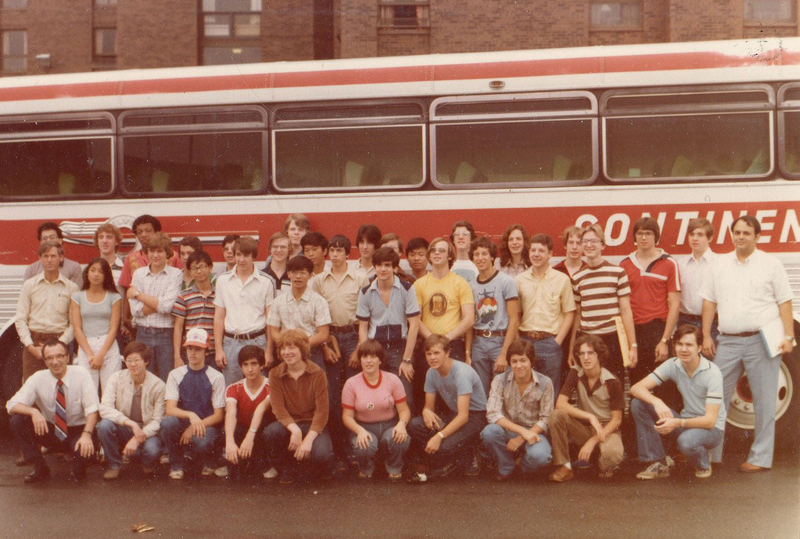 Berzsenyi took a busload of students, including Jimmy Wilson and Ferrell Wheeler, to the American Regions Mathematics League in Texas in 1981 and 1982. "In spite of their youth, I considered them mathematically supremely mature and treated them in such fashion ... I really admired them," he says. Over the years, Berzsenyi worked with thousands of kids. He didn't expect all of them to become mathematicians. 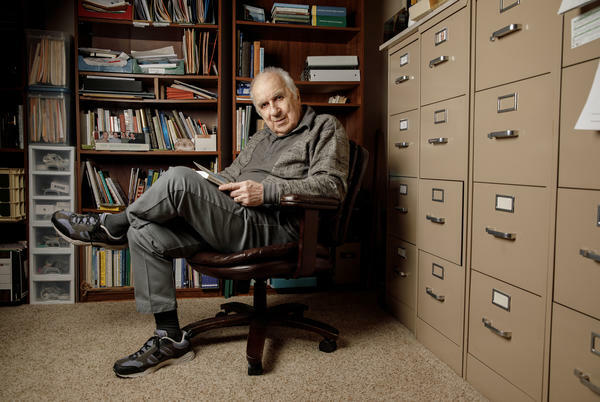 In addition to math, Berzsenyi's protégés have gone on to biology, business and even law. "I first met Dr. Berzsenyi through the young scholars programs in 1995," says Yvonne Lai, an assistant math professor the University of Nebraska, Lincoln. She says Berzsenyi created the program as kind of a summer math camp for high school students. As the camp was coming to an end, Lai recalls, "He assigned us a group of 10 math competition-style problems that we could hand in as a final assignment in 10 years." The group stayed in touch using a mailing list. And about a decade later, "somebody wrote the mailing list and said, 'It's been 10 years, we have a problem set due,' " Lai says with a laugh. An assignment due 10 years later is just the kind of clever idea George Berzsenyi used to keep students engaged in math. Berzsenyi is proud of what his math protégés have accomplished. Ferrell Wheeler does cryptography work for the National Security Agency. Kiran Kedlaya works on number theory at the University of California, San Diego. Noam Elkies became a tenured math faculty member at Harvard when he was just 26 years old. The protégés are uniformly grateful for Berzsenyi's attention. It is "through programs that George Berzsenyi developed that I think I got the courage to become a math major," says Lai. "His influence on me is hard to describe," says Wheeler. "He was like a second father to me. And he helped me immensely." "It's hard to find somebody who is that passionate about discovering the future generation of talent in any field, but particularly in mathematics," says Kedlaya. Of all the students Berzsenyi told me about in the hours we spoke, one stood out: Jimmy Wilson. "In the long run, Jimmy was probably my major discovery," Berzsenyi says. Wilson almost fell through the cracks. When he was a high school freshman, Wilson took part in a math competition. Berzsenyi happened to look over the shoulder of the judge scoring Wilson's solution to one of the tough problems in the competition. "The solution he gave to the problem was a perfect solution," Berzsenyi says. "Somehow, the person who was grading the solution didn't recognize that it actually solved the problem, and very elegantly." So Berzsenyi overruled the first judge and gave Wilson a top score. 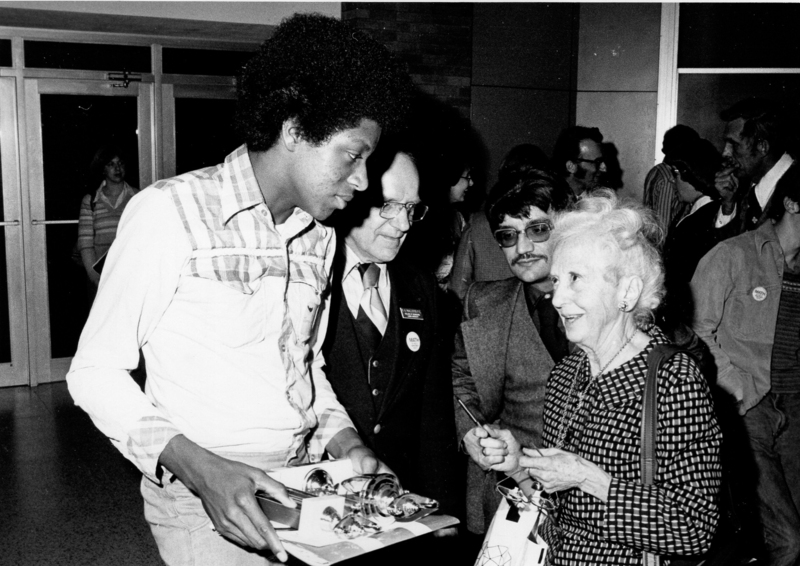 Jimmy Wilson chats with mathematician Nura Turner at the United States of America Mathematical Olympiad in 1978. Later in high school, Berzseny took Wilson and a bunch of other students to a math competition on the East Coast. The concluding event at the competition was a game called Buzz. "The kid never heard of this before. I never heard of it before," Berzsenyi says. It's a counting game. 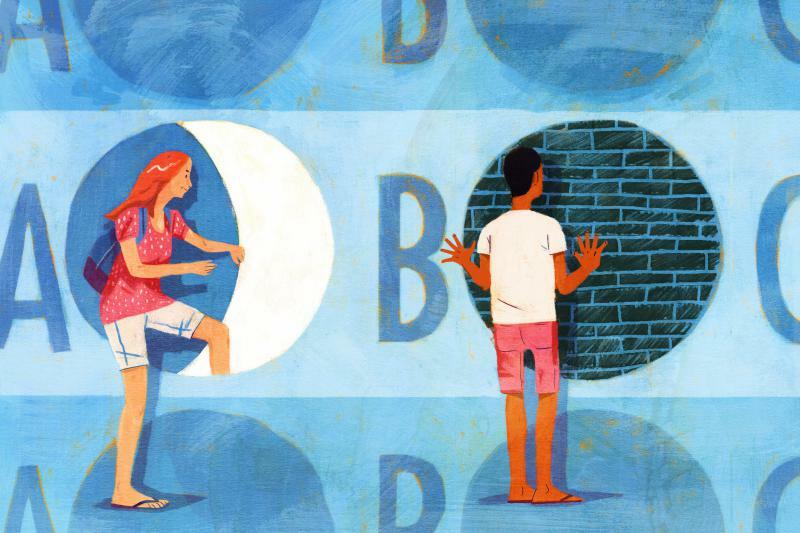 Students stand in a circle and take turns counting, but there are complex rules where you replace numbers with words like "buzz," "bang" or "whack." Say the wrong word and you're out. It's fiendishly hard to keep all the rules straight, especially as the count reaches into the hundreds. Eventually, there were just two students left: the previous year's champion and Wilson. "It was just unbelievable to watch," Berzsenyi recalls. "Very methodically, Jimmy just succeeded where the other kid didn't." For all his natural aptitude for math, at first Wilson didn't do well in college. He dropped out of Texas A&M. Berzsenyi says it was because Wilson hadn't really learned how to study. "At that time, I didn't recognize some of the things I should have been doing," he says. "I still feel bad about it." "I don't think he needs to feel that way at all," says Jimmy Wilson. Today he goes by Jim Wilson. He now has his college degree. He still lives in Beaumont, Texas. He has worked as an educator in the local school system for most of his adult life. He's proud of what he did at that East Coast math competition, proud of his math skills. He's especially proud of the day George Berzsenyi gave him a Rubik's Cube.
" 'If you can solve it, you can keep it,' " Wilson recalls Berzsenyi saying. He solved it in short order. Wilson recalled Berzsenyi telling him how impressed he was: " 'Oh, by the way, I think you're the first person in the country to solve it.' " The cube Berzsenyi gave Wilson was one he had brought back from Hungary, where the Rubik's Cube was invented. The U.S. version had yet to go on the market — it did so in 1980. It's true Wilson didn't achieve the kind of academic fame or financial success that some of Berzsenyi's other students did. "I could look back with some regrets," Wilson says. But he has also found great fulfillment in helping the students he has taught over the years to find the joy in math. "To this day, as I reach out to help students to improve their skills, it's because of that relationship that started when I was in high school with Dr. Berzsenyi," Wilson says. 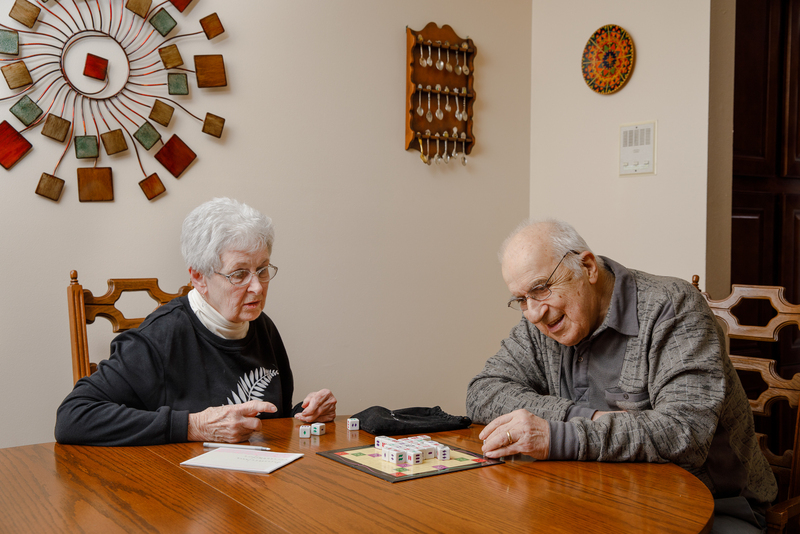 George Berzsenyi and his wife, Kay, of 54 years, play a board game on the dining room table of their Shorewood, Wis., home. A mentor who appears at a critical moment in someone's life can have an enormous impact. This is the story of a man who made it his life's work to be that mentor. His efforts changed the lives of thousands of people, including, as NPR's Joe Palca learned, some of the top scientists and mathematicians in this country. JOE PALCA, BYLINE: One of those top scientists is a computational biologist at Harvard Medical School named Vamsi Mootha. In the late 1980s when young Vamsi was in high school in Beaumont, Texas, he won a science fair. A few days later, a letter arrived in the mail. VAMSI MOOTHA: It said, dear Vamsi, congratulations on winning the Houston Science Fair. This is quite the accomplishment. PALCA: But then the letter went on to say that the math problem Vamsi solved to win the fair had been solved hundreds of years earlier. MOOTHA: Of course, you can't be expected to know this because you're only a sophomore in high school and perhaps you haven't had the appropriate mentorship. PALCA: And the letter went on. MOOTHA: If you're interested in solving original problems, why don't you write back to me. PALCA: The letter was signed George Berzsenyi. Berzsenyi was a math professor at Lamar University in Beaumont. The letter upset Vamsi. He thought he'd discovered something new. He was annoyed. But then he became intrigued. MOOTHA: And I said, you know what? I'm going to take this guy up on his offer and write back to him. PALCA: They got together, and the pair hit it off. Berzsenyi would give Vamsi those original problems to solve. MOOTHA: I would share with him my interval progress. And he'd sort of guide me in terms of possible directions. PALCA: Eventually, Vamsi headed off to Stanford University and then Harvard Medical School. Vamsi Mootha says Berzsenyi's mentoring was incredibly helpful as he pursued his academic career. And a half dozen or so years ago, Mootha learned that he was hardly the only one to benefit from Berzsenyi's attention. MOOTHA: I share an office with somebody named Joel Hirschhorn. PALCA: Hirschhorn is a star geneticist at Harvard and the Broad Institute. One day, Mootha and Hirschhorn were trying to solve a math problem related to their work. MOOTHA: Joel is up at the board. He's drawing out some equations. MOOTHA: After we worked on the problem, we're just reminiscing about our high school days in mathematics. I had known that Joel was quite the mathematician. PALCA: Young Joel was co-captain of his New York City high school math team. So Mootha starts to tell Hirschhorn about how he got this letter after winning a science fair. MOOTHA: And before I could actually finish that sentence, he actually asked me, wait, did that letter come from somebody named George Berzsenyi? And I said yes. How do you know? And he said, oh, because I used to communicate with George Berzsenyi also. MOOTHA: Sebastian interrupts me and says, wait, was that George Berzsenyi? And I said yes. How do you know? PALCA: Berzsenyi was also a mentor to Sebastian Seung. Mootha found out that Berzsenyi had affected the lives of many top scientists and mathematicians. 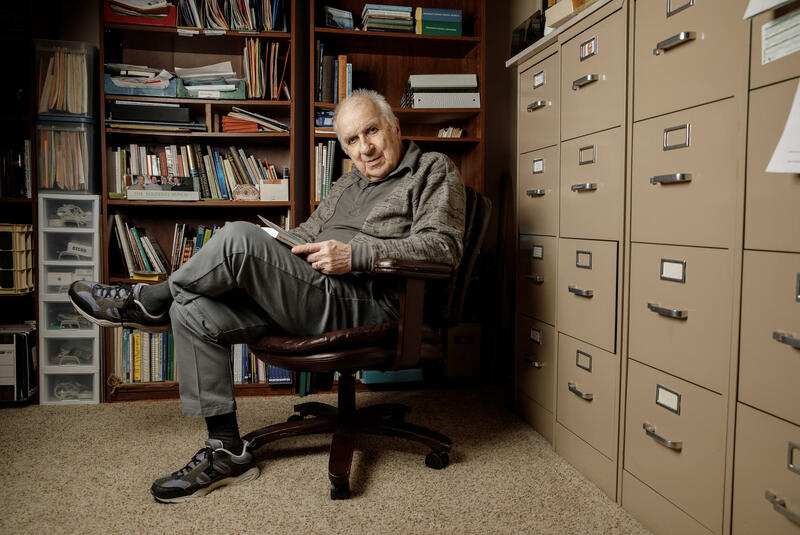 He rounded up 10 of them to nominate Berzsenyi for a lifetime achievement award from the Mathematics Association of America. So who is George Berzsenyi? What's up with him? And how did he come to influence the lives of so many people? GEORGE BERZSENYI: Does it look like (unintelligible). PALCA: To find out, I went to Milwaukee. That's where George lives with his wife, Kay. PALCA: Hi, Kay. How are you? KAY: Just fine. Come on right on in. PALCA: Berzsenyi takes me into the spare bedroom he's transformed into an office. He's 80 now. He was born in Hungary. In high school, he fell in love with mathematics. Hungary punches above its weight in math. The country has produced many famous mathematicians. Berzsenyi left high school to join a student protest movement against the Soviet-backed government. Then Moscow sent in tanks to crush the revolt. BERZSENYI: I left Hungary in 1956. PALCA: Berzsenyi fled to America. He had family in St. Louis, so he went there for a few years, then on to Texas. He went back to school, earning a Ph.D. in mathematics. When he joined the math faculty at Lamar in Beaumont, he was underwhelmed by the quality of the math students. So he decided he'd look for talented high school students. But he didn't just want to find them. BERZSENYI: My idea was that following the example I learned and I remembered from Hungary. I should try to develop their talents rather than just discover them. PALCA: With local kids, he'd meet them one on one. For others, the interactions were by mail. He would send out a math magazine with tricky problems in it. And when students send in solutions, he would send back comments. BERZSENYI: To me, the biggest miracle is that they would trust an unknown character at an unknown university, Lamar University, and send me solutions regularly - some of the very, very best of this country - tells me two things. On the one hand, these kids very, very trustful and very willing to do anything that helps them. And the second thing is that there really isn't anything for them. PALCA: Berzsenyi says most high schools just don't have the expertise to help these bright math students. And professional mathematicians by and large can't be bothered. Berzsenyi, on the other hand, loved watching young people's math talents grow. BERZSENYI: One of the things I believe that made these students look up to me is that every time I would meet any of them, I would handle them as equals in spite of their youth. I consider them mathematically superbly mature and treat them in such fashion. I really admired them. PALCA: Over the years, Berzsenyi worked with lots of kids. BERZSENYI: I would say probably thousands, yes - definitely. PALCA: Berzsenyi didn't expect all of them to become mathematicians. PALCA: Berzsenyi's proteges have gone on in biology, business, even the law. But some did go on in math. YVONNE LAI: I first met Dr. Berzsenyi through the Young Scholars Program in 1995. LAI: He assigned us a group of 10 math competition-style problems that we could hand in as a final assignment in 10 years. LAI: Somebody wrote the mailing list and said, you know what? It's been 10 years. We have a problem set due. BERZSENYI: An assignment due 10 years later is just the kind of clever idea George Berzsenyi used to keep students engaged in math. Berzsenyi is proud of what his math proteges have accomplished. Ferrell Wheeler does cryptography work for the National Security Agency. Kiran Kedlaya works on number theory at the University of California San Diego. Noam Elkies became a tenured math faculty member at Harvard when he was just 26 years old. But of all the students Berzsenyi told me about in the hours we spoke, one stood out - Jimmy Wilson. BERZSENYI: In long run, I would say Jimmy was probably my major discovery. PALCA: Berzsenyi says Jimmy almost fell through the cracks. When he was a high school freshman, Jimmy took part in a math competition. Berzsenyi happened to look over the shoulder of the judge scoring Jimmy's solution to one of the tough problems in the competition. BERZSENYI: The solution he gave to the problem was a perfect solution. And somehow, the person who was grading the solution didn't recognize that it actually solved the problem very elegantly. BERZSENYI: Let's try to challenge him and see what more he can do. PALCA: Berzsenyi says Jimmy could do plenty. Later in high school, Berzsenyi took Jimmy and a bunch of other students to a competition on the East Coast. The concluding event at the competition was a game called Buzz. BERZSENYI: They had never heard of this before. I never heard of it before. PALCA: It was a counting game. Students stand in a circle and take turns counting. But there are complex rules where you replace numbers with words, like buzz, bang or whack. Say the wrong word, and you're out. It's fiendishly hard to keep all the rules straight, especially as the count reaches into the hundreds. Eventually, there were just two students left - the previous year's champion and Jimmy. BERZSENYI: It was just unbelievable to watch. Very methodically, Jimmy just succeeded where the other kid didn't. PALCA: But for all his natural aptitude for math, at first, Jimmy didn't do well in college. He dropped out of Texas A&M. Berzsenyi says it was because as smart as he was, he hadn't really learned how to study. BERZSENYI: At that time, I didn't recognize some of the things I should have been doing. And I still feel bad about it. PALCA: But there's one person who disagrees with him about that. JIM WILSON: I don't think he needs to feel that way at all. PALCA: That's Jimmy Wilson, although today he goes by Jim Wilson. He did finish college. He still lives in Beaumont, Texas. He's worked as an educator in the local school system for most of his adult life. He's proud of what he did at that East Coast math competition, proud of his math skills, especially proud of the day George Berzsenyi gave him a Rubik's Cube. WILSON: If you can solve it, you can keep it. PALCA: Challenge accepted. It took him a couple days, but solve it he did. Wilson recalls Berzsenyi telling him how impressed he was. And then he added something surprising. WILSON: He said, oh, by the way, I think you're the first person in the country to solve it. PALCA: The cube Berzsenyi gave Wilson was one he brought back from Hungary, where the Rubik's Cube was invented. The U.S. version hadn't gone on the market yet. It's true, Wilson didn't achieve the kind of academic fame or financial success some of Berzsenyi's other students did. WILSON: I could look back with some regrets. PALCA: But he's also found great fulfillment in helping the students he's taught over the years to find the joy in math. WILSON: And to this day, as I reach out to help students to improve their skills, it's because of that relationship that started when I was in high school with Dr. Berzsenyi. PALCA: And so Jim Wilson has become just the kind of math mentor that George Berzsenyi says this country needs more of. Joe Palca, NPR News. (SOUNDBITE OF PHILHARMONIE'S "QUICKSILVER") Transcript provided by NPR, Copyright NPR. For some young people, just heading off to college can be challenging enough, even before deciding on what course of study might carry them through their adult life. One Milwaukee area school is trying to make navigating that undecided part of the college experience a little easier. 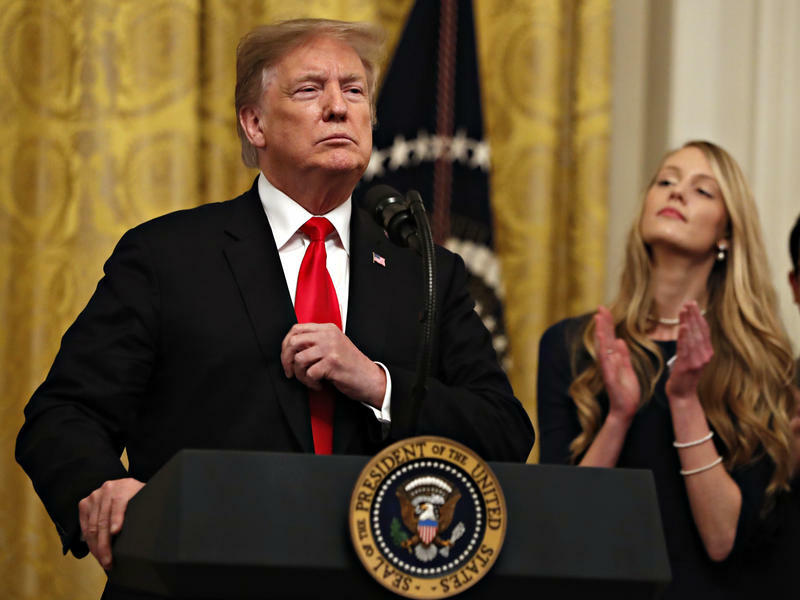 In a move that appeared aimed at what some view as a growing trend of political correctness on college campuses, President Trump signed an executive order Thursday to bar federal research grants to institutions that don't "avoid creating environments that stifle competing perspectives." 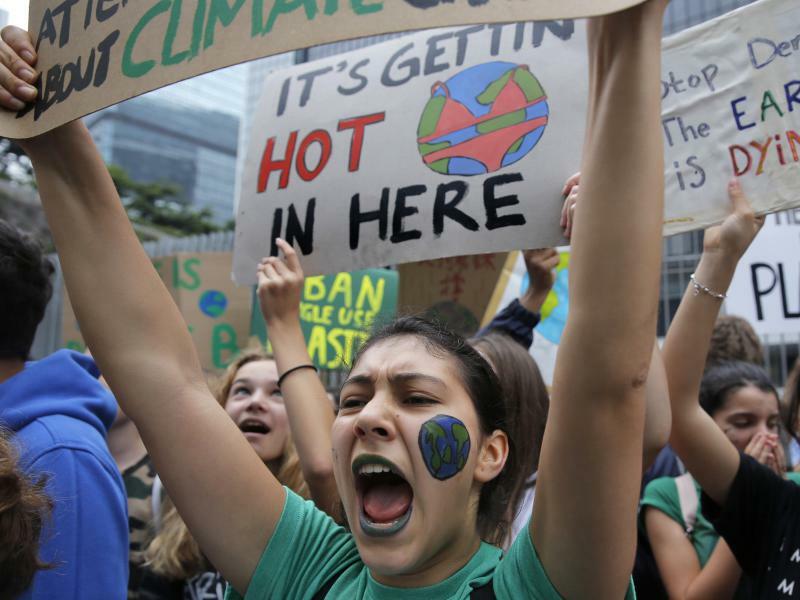 Tens of thousands of students around the world skipped school school Friday to protest inaction on climate change. It was one of the largest turnouts so far in a months long movement that included the U.S. for the first time, in an event organizers call the "U.S. Youth Climate Strike." Students with disabilities and disability rights advocates are among those angry — and feeling victimized — after the arrests in the college admissions and bribery scandal Tuesday. "Stories like this are why we continue to see backlash to disability rights laws," Rebecca Cokley, director of the Disability Justice Initiative at the Center for American Progress, said in a statement.